The new 458 Spider joins the 458 Italia, widening the range of Ferrari’s mid-rear engined V8s and offering the same uncompromising technological solutions, handling and performance in a refined open-top configuration. It is equipped with a Ferrari patented, fully retractable hard top, a world first for a sports car with this lay-out. 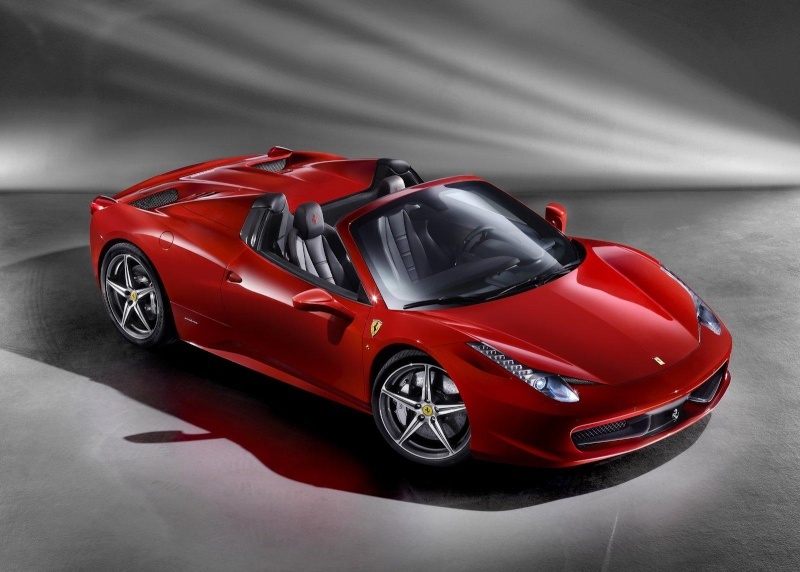 The 458 Spider is powered by Ferrari’s naturally-aspirated, direct-injection 4.5 litre V8 which was nominated as the 2011 International Engine of the Year for its engineering excellence in terms of driveability, performance, economy and refinement. The power is transferred to the road by Ferrari’s class-leading dual-clutch F1 paddle-shift transmission through the sophisticated E-Diff, itself integrated with the F1-Trac traction control and high-performance ABS for maximum handling dynamics. ensure that the car’s occupants are completely captivated by the drop-top driving experience.